Seventy teachers sat in a classroom at the University of Alaska in 1974. A huge man walked through the door and began touching ovals with pictures on them that were hanging across the front of the room on a piece of rope. Their mouths dropped open in amazement as he started singing strange sounds to the tune of "Zip a dee doo dah." By the end of the two days of training those 70 teachers would have followed George Cureton through the streets of Anchorage singing the "aah-buh-cuhs." I was fortunate to be the one who had arranged to bring Dr. Cureton to Alaska after I had found his Action Reading program for the Anchorage School District. I had been sent to look at every reading program in America and find the best one for the Anchorage schools. I am still convinced , after 45 years, that it is the best reading program available and the solution to America's illiteracy problem. 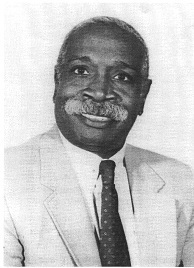 On December 11th, 1995, Dr. George O. Cureton passed away from the complications of a stroke. He was a charismatic, dedicated and much loved teacher. He is greatly missed by all of us who knew him and continue to use his wonderful program. His contribution to the children of America will live on forever. He developed the Action reading program to teach young children to read but it can also be used with older students who did not learn to read as children. In 1994,I taught illiterate adults to read in two weeks for the Oprah Winfrey Show. I used Action Reading. Dr. Cureton appeared on the show with me and the students. They were so grateful that his method had changed their lives, The new edition of the Action Reading Teacher's Guide is dedicated to the loving memory of our friend, mentor and fellow teacher, Dr. George O. Cureton.